The delectable tastes of citrus come together in our selection of gourmet dried oranges and grapefruit from Meduri World Delights. 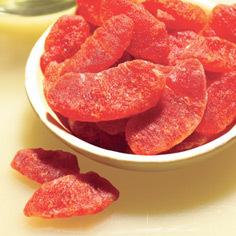 With our dried grapefruit slices, you can bite into the bright unique flavor of a juicy grapefruit without the fear of an overpowering sour flavor. 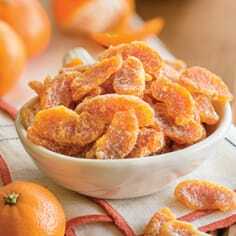 Nibble on an all-natural Mandarin orange slice and taste all of the complex flavors of the fruit, not a sugary syrup. All of our gourmet dried fruit is created using the Meduri method; that means shallow trays and small batches to lock in all of the natural flavors.